Conclusive association entities (CAEs) in the title and the abstract of an article a are those biomedical entities (e.g., genes, diseases, and chemicals) that are specific targets on which conclusive findings about their associations are reported in a. Identification of the CAEs is essential for the analysis of conclusive associations, which is a task routinely conducted by many biomedical scientists. However, CAE identification is challenging, as it is difficult to identify the specific entities and then estimate how conclusive the findings on the entities are. In this paper we present an association mining technique to improve CAE identification. The technique is based on a hypothesis: two candidate entities in an article are likely to be CAEs of the article if a strong association between them is mined from a collection of articles. 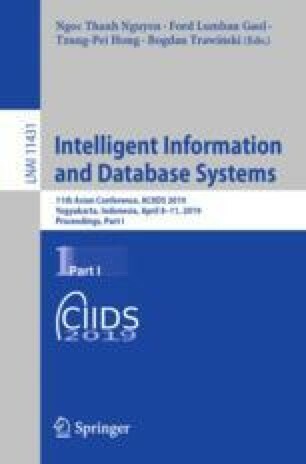 Experimental results show that, by integrating the technique with representative keyword identification indicators, CAE identification can be significantly improved. The results are of technical and practical significance to the indexing, curation, and exploration of conclusive associations reported in biomedical literature. This research was supported by Ministry of Science and Technology, Taiwan (grant ID: MOST 107-2221-E-320-004).